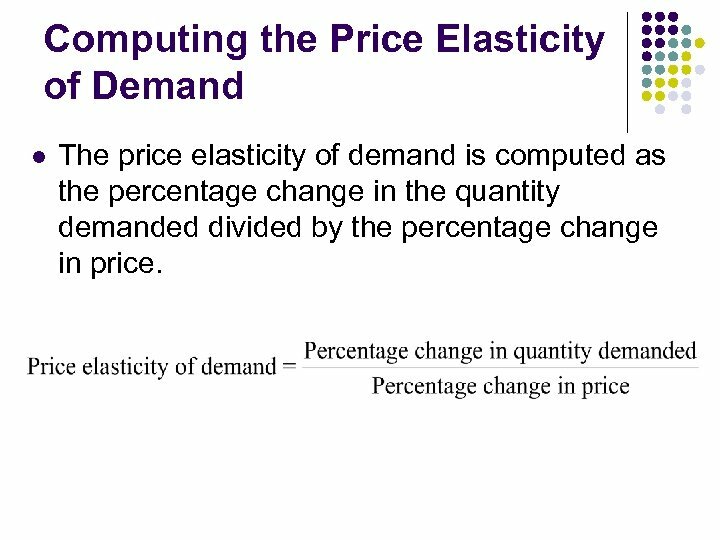 Computing the Price Elasticity of Demand l The price elasticity of demand is computed as the percentage change in the quantity demanded divided by the percentage change in price. 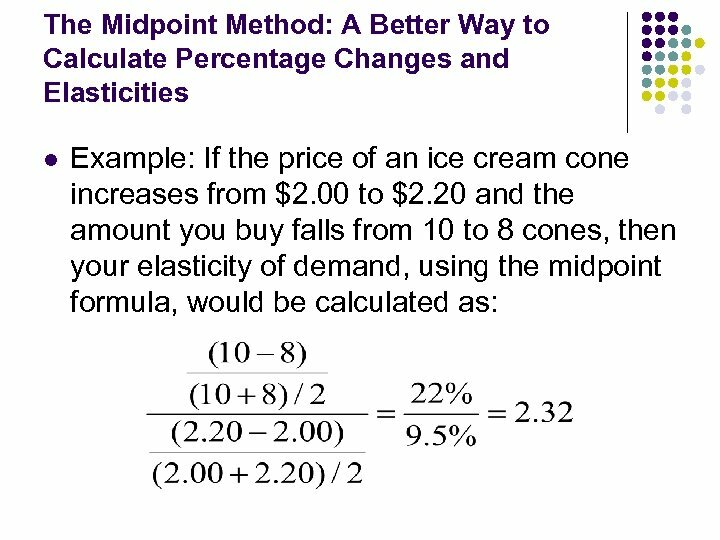 The Midpoint Method: A Better Way to Calculate Percentage Changes and Elasticities l l The midpoint formula is preferable when calculating the price elasticity of demand because it gives the same answer regardless of the direction of the price change. 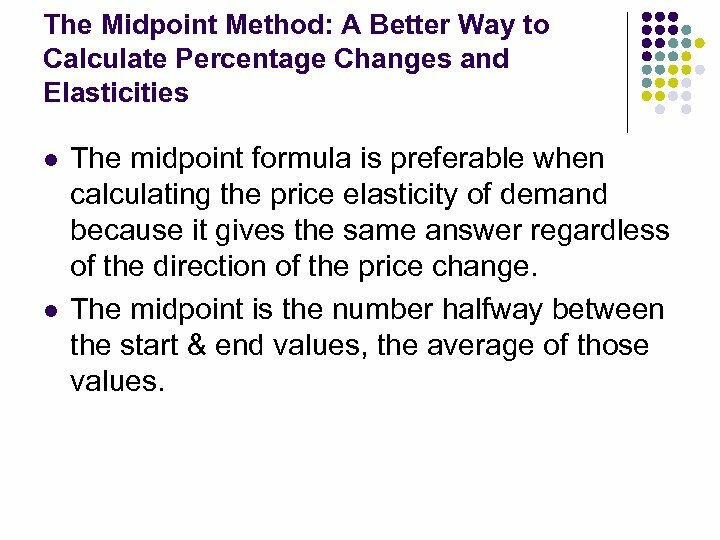 The midpoint is the number halfway between the start & end values, the average of those values. 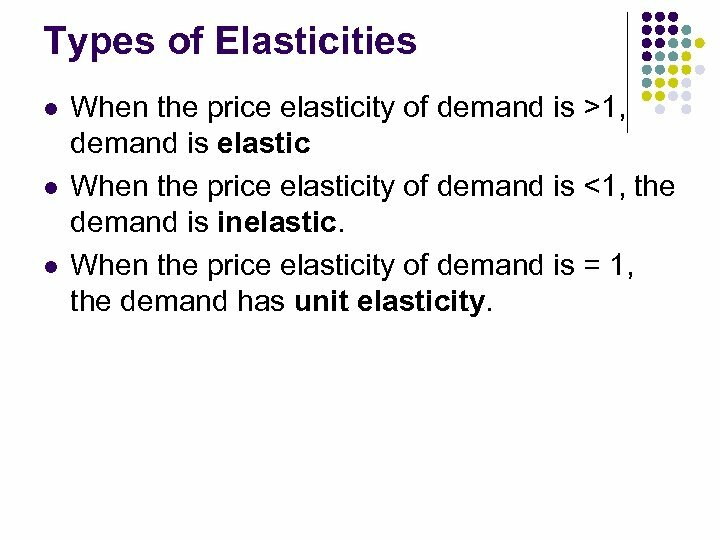 Types of Elasticities l l l When the price elasticity of demand is >1, demand is elastic When the price elasticity of demand is <1, the demand is inelastic. 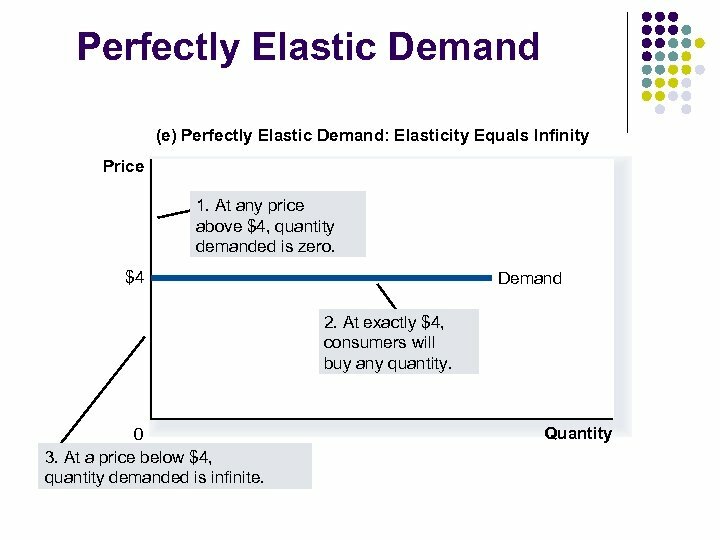 When the price elasticity of demand is = 1, the demand has unit elasticity. 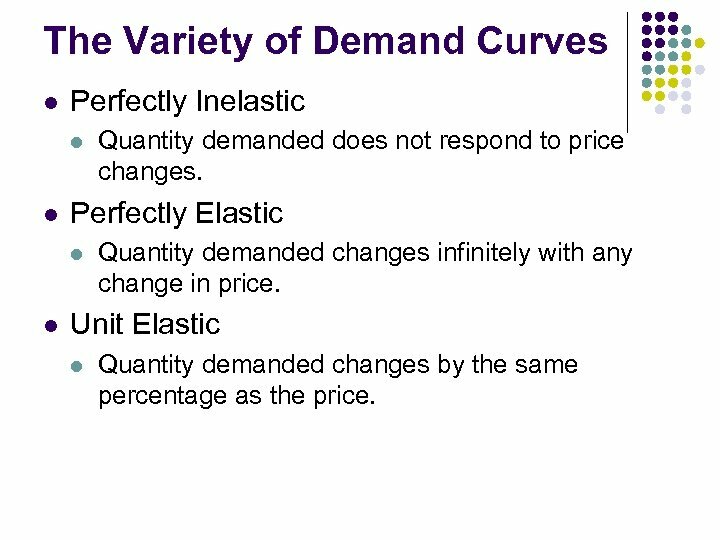 The Variety of Demand Curves l Perfectly Inelastic l l Perfectly Elastic l l Quantity demanded does not respond to price changes. 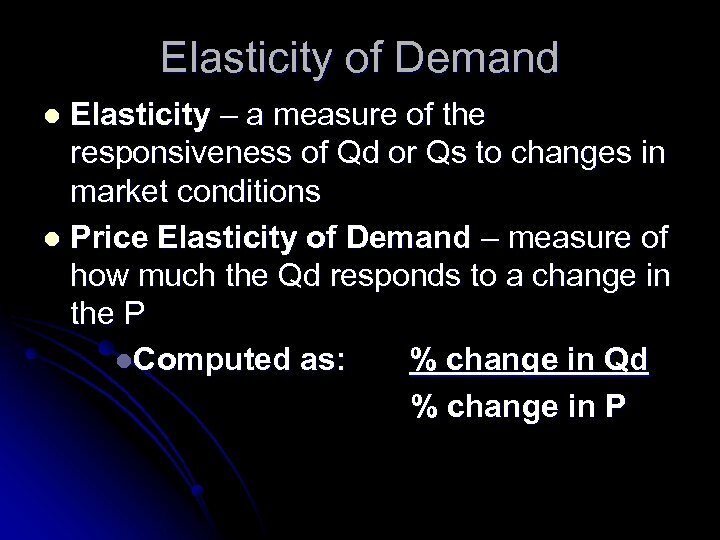 Quantity demanded changes infinitely with any change in price. 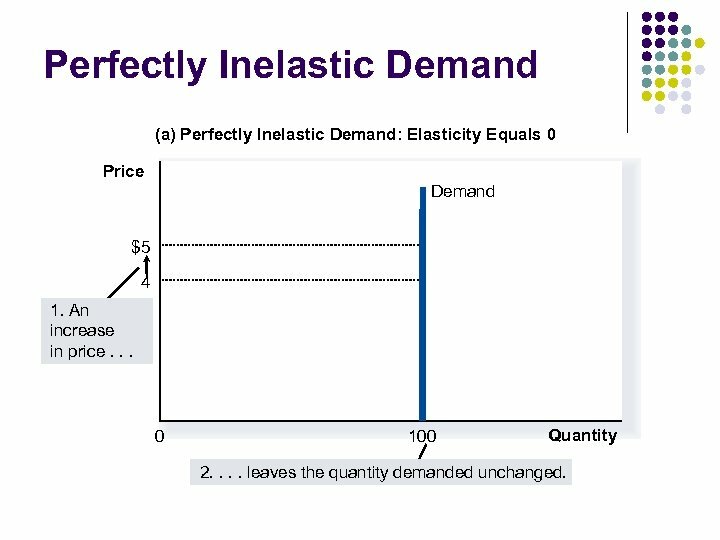 Unit Elastic l Quantity demanded changes by the same percentage as the price. 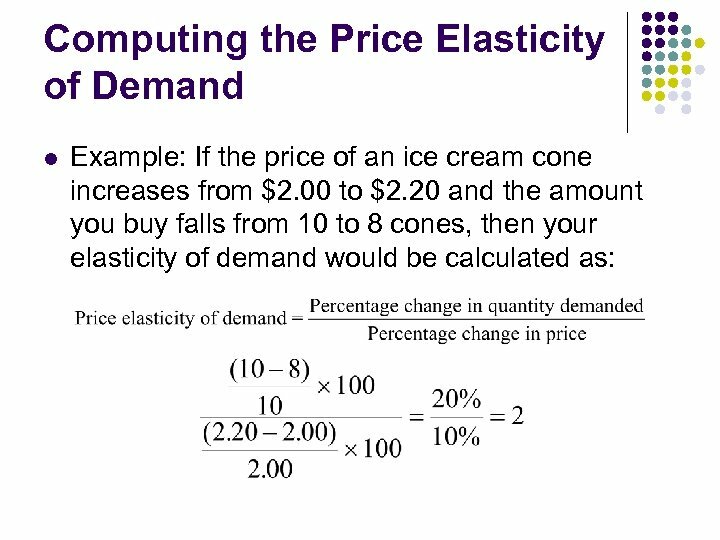 l l Because the price elasticity of demand measures how much quantity demanded responds to the price, it is closely related to the slope of the demand curve. 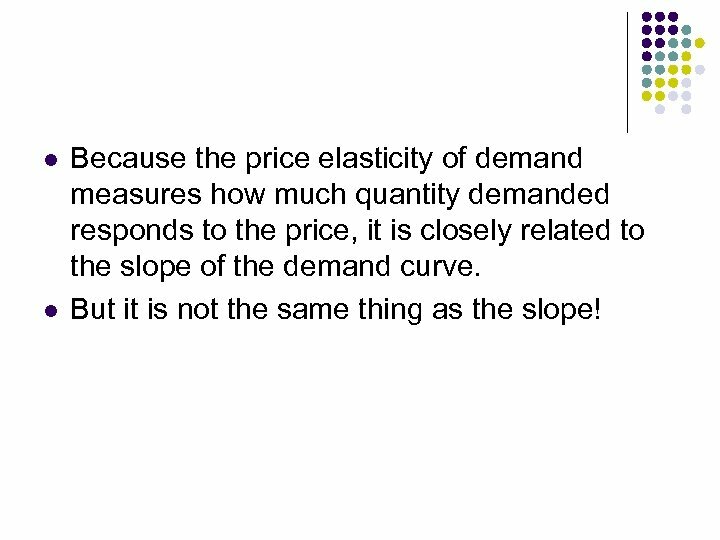 But it is not the same thing as the slope! 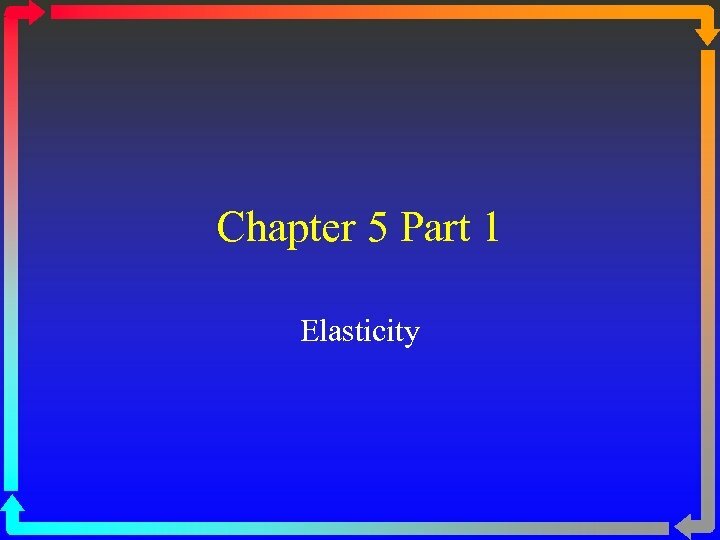 Perfectly Inelastic Demand (a) Perfectly Inelastic Demand: Elasticity Equals 0 Price Demand $5 4 1. 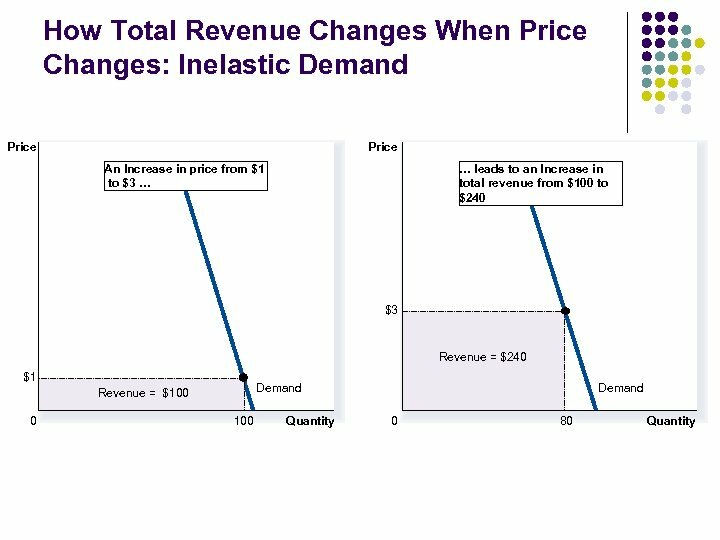 An increase in price. 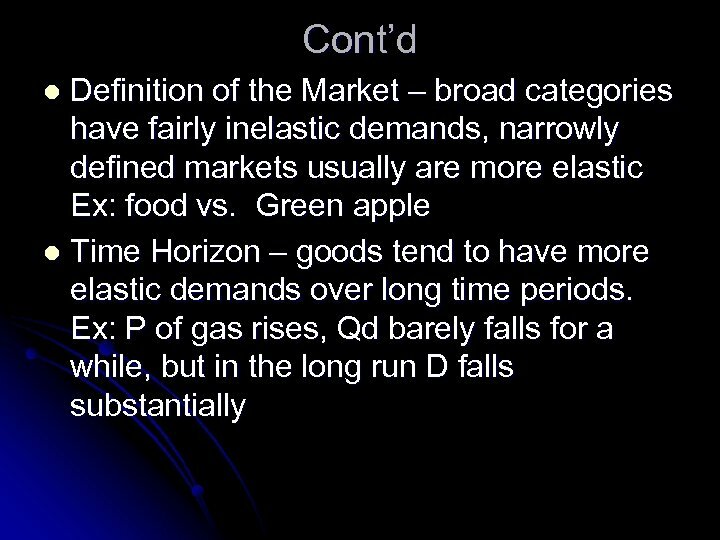 . . 0 100 Quantity 2. . leaves the quantity demanded unchanged. 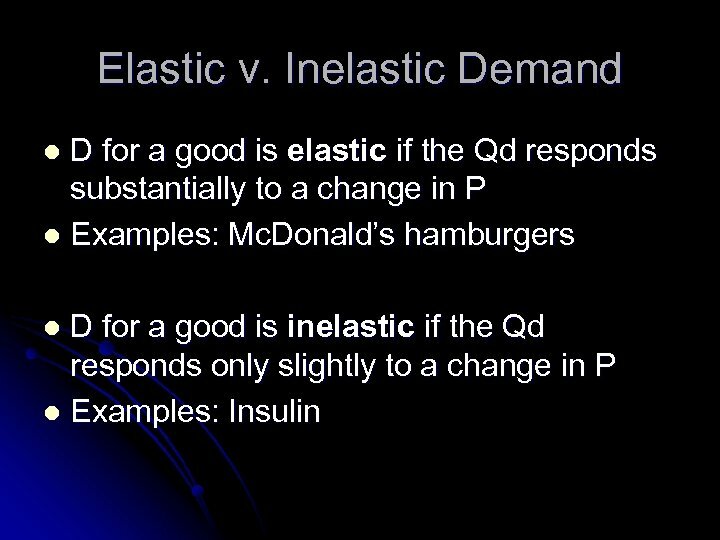 Inelastic Demand (b) Inelastic Demand: Elasticity Is Less Than 1 Price $5 4 1. 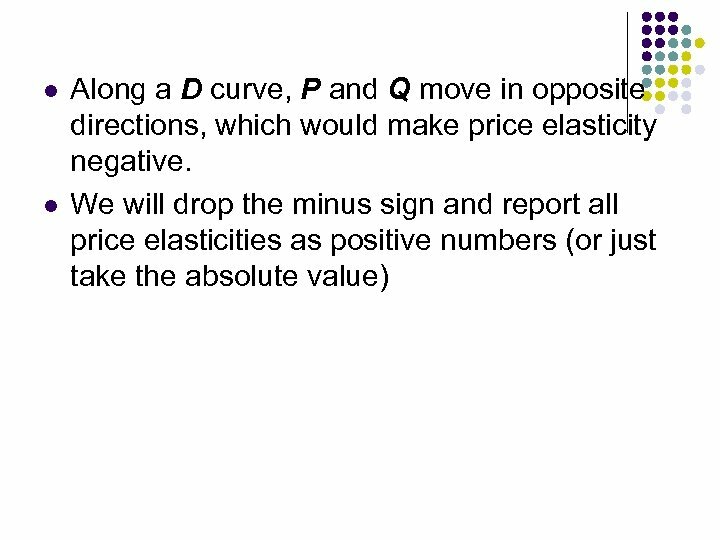 A 22% increase in price. 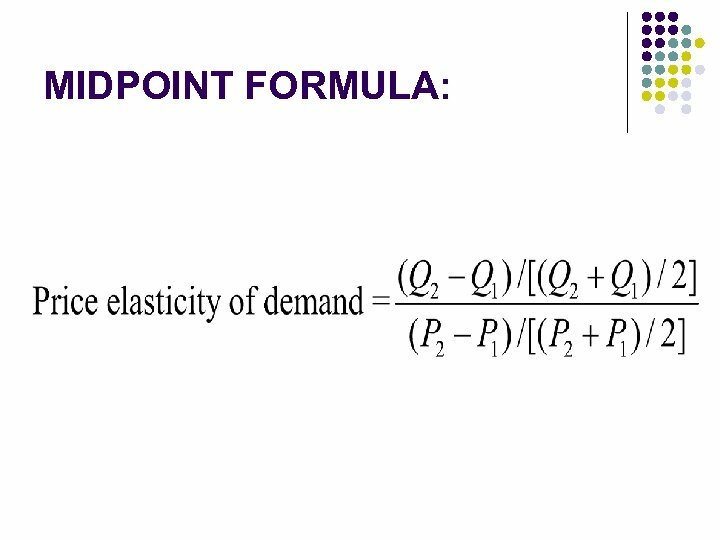 . . Demand 0 90 100 Quantity 2. . leads to an 11% decrease in quantity demanded. 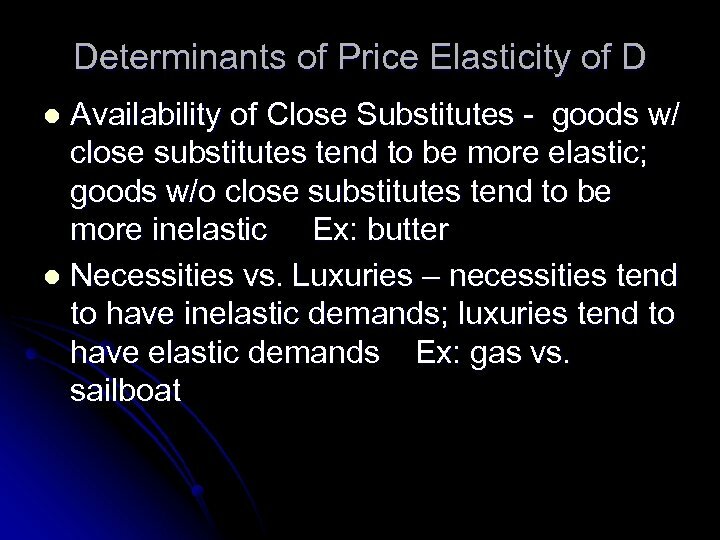 Unit Elastic Demand (c) Unit Elastic Demand: Elasticity Equals 1 Price $5 4 Demand 1. 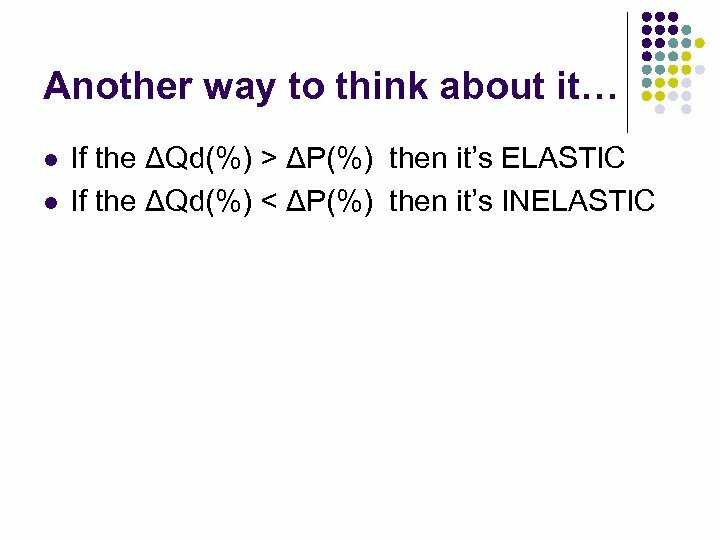 A 22% increase in price. 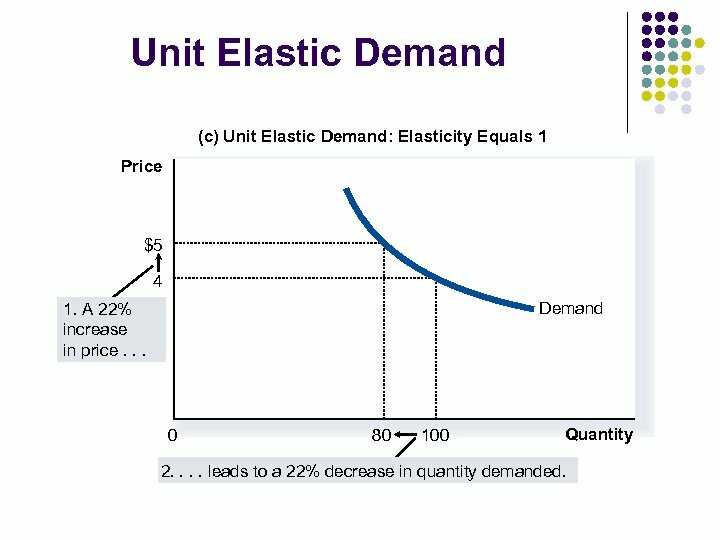 . . 0 80 100 Quantity 2. . leads to a 22% decrease in quantity demanded. 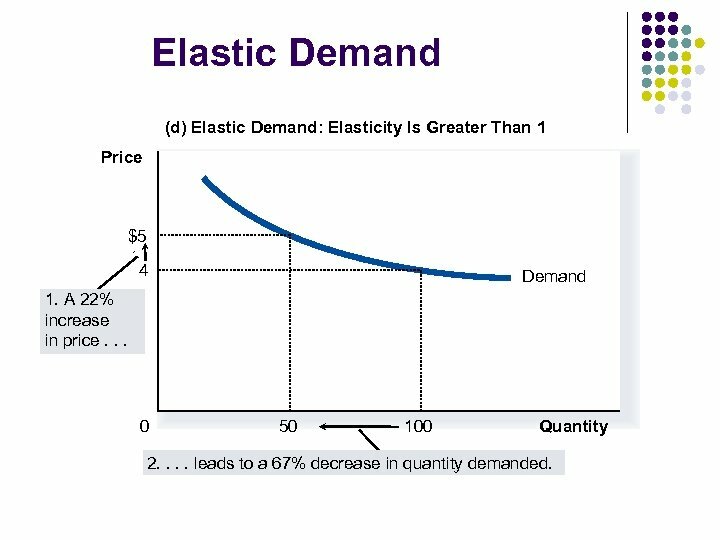 Elastic Demand (d) Elastic Demand: Elasticity Is Greater Than 1 Price $5 4 Demand 1. 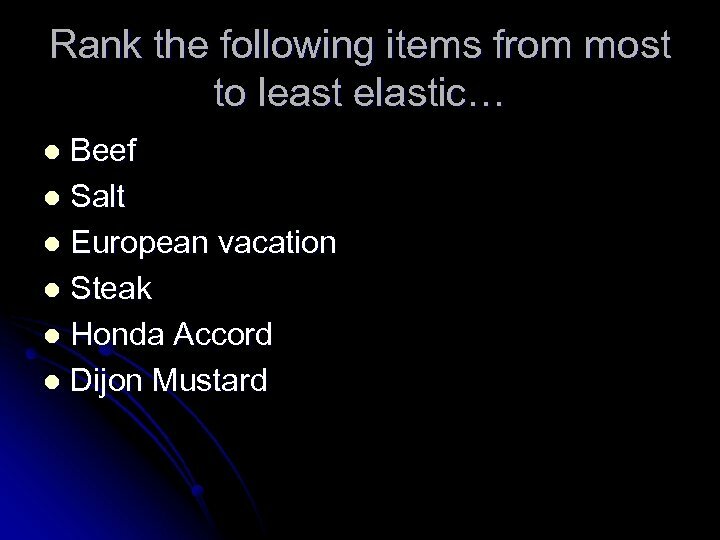 A 22% increase in price. 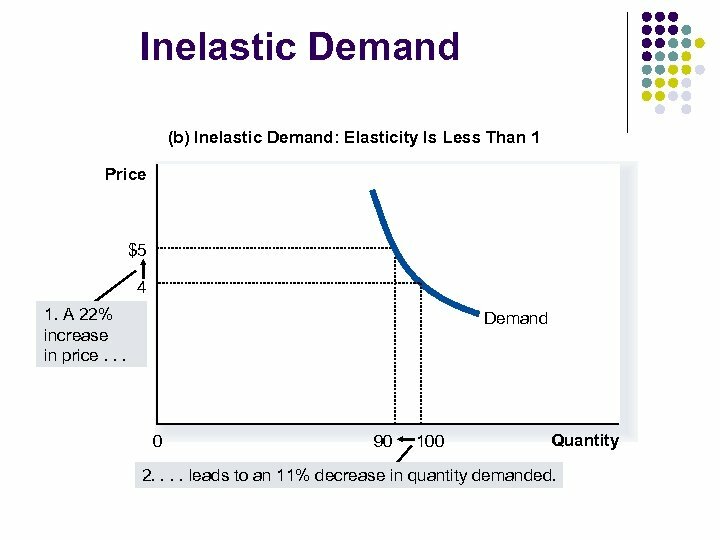 . . 0 50 100 Quantity 2. . leads to a 67% decrease in quantity demanded. 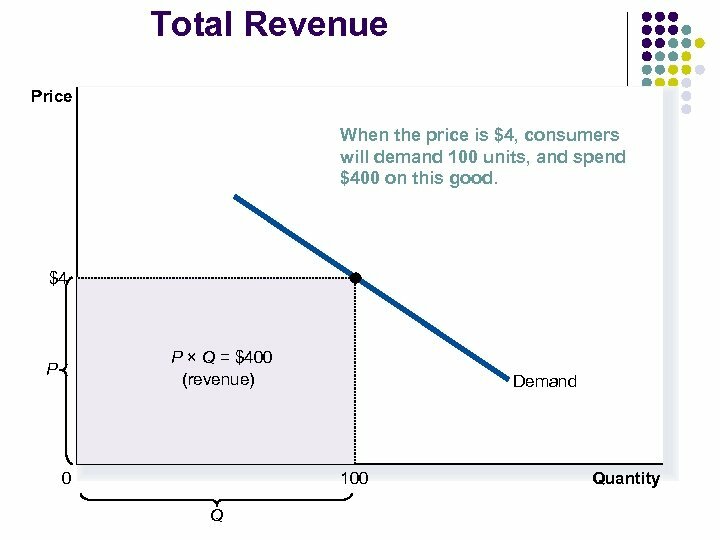 Total Revenue and Price Elasticity of Demand l l Total revenue is the amount paid by buyers and received by sellers of a good. 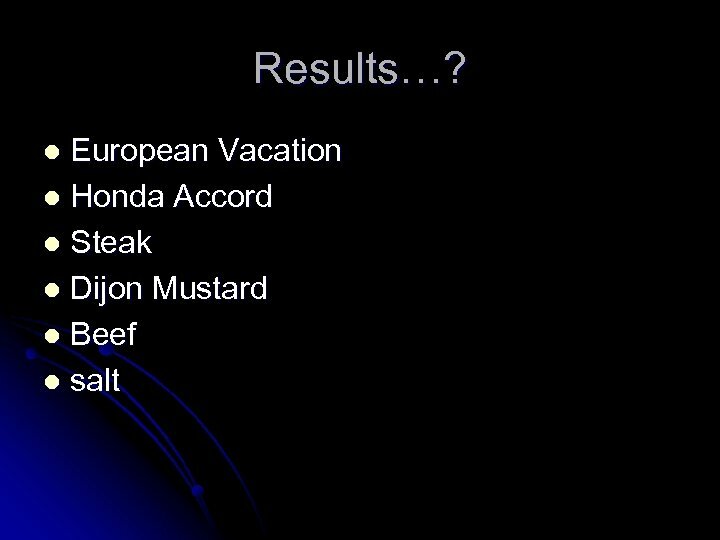 Computed as the price of the good times the quantity sold. 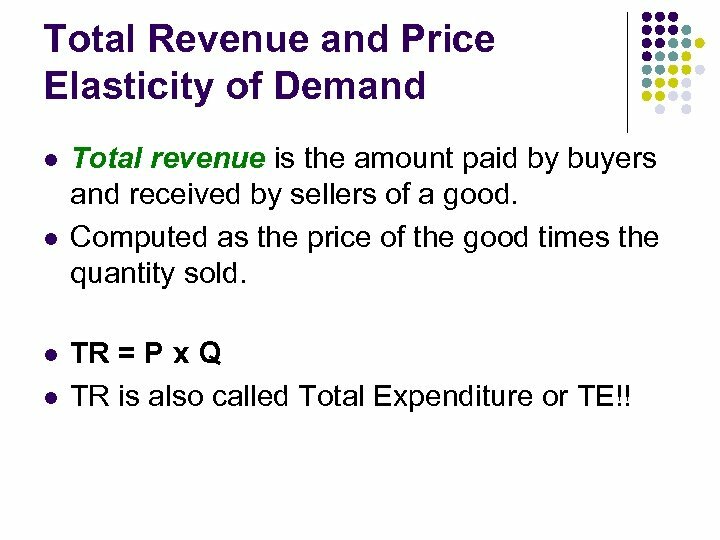 TR = P x Q TR is also called Total Expenditure or TE!! 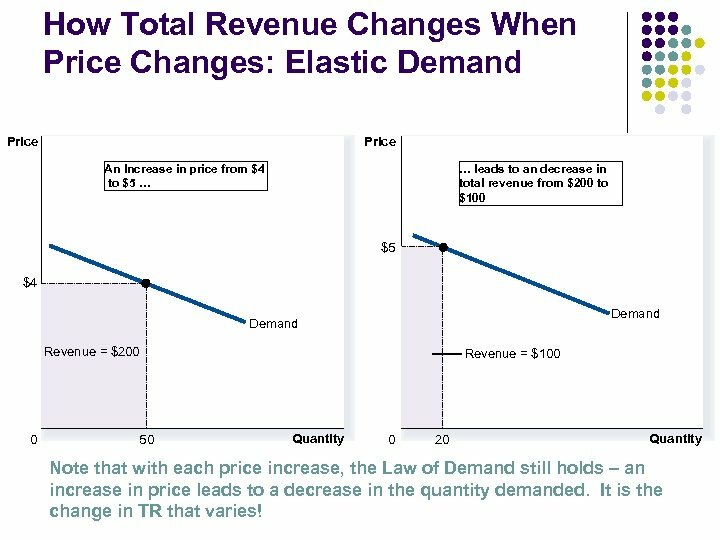 How Total Revenue Changes When Price Changes: Elastic Demand Price An Increase in price from $4 to $5 … … leads to an decrease in total revenue from $200 to $100 $5 $4 Demand Revenue = $200 0 50 Revenue = $100 Quantity 0 20 Quantity Note that with each price increase, the Law of Demand still holds – an increase in price leads to a decrease in the quantity demanded. 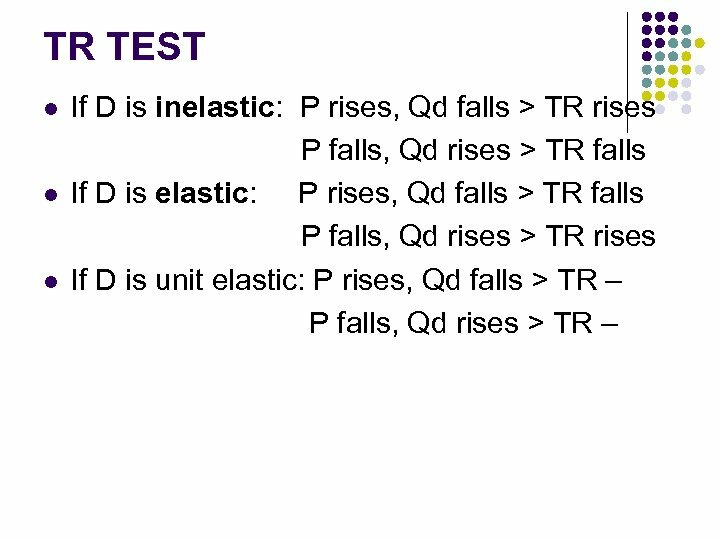 It is the change in TR that varies!